Something strange, live comments on gmail.net domain. yarab ye kaisee hai dagar? inka kuch... shuker to ker? zara tu inpay ghor ker? Obviously this means, avoid using the internal dtd and even external editable dtd. So, after several googles/xml documentations/msdn searches, I thought of putting my dtd document on a public domain; So I am posting this for if I need this in future. One way of achieving this, is to post the dtd document on a domain with system keyword. or if you must use PUBLIC keyword then adding the optional string that would describe the data structure that dtd defines. Click here for a very nice resource. When authoring your web documents here is the list of w3c recommended dtds. And if you do not have any idea about DTD, and go here. 1. If you know where do you want to go, any road will take you there. 2. Having knowledge doesn't mean having wisdom. 3. Never, neither underestimate nor over estimate anyone. 6. Be flexible always by yourself, and never by force. 7. Act humble, be humble and you'll rule the world. 8. Time has a good thing and a bad thing, that it passes by. 9. Fight for your right and the right, until you succeed. 11. Must have aim in life, broad and achievable. 12. Friends are like bank balance, never use them very often; Otherwise you'll get bankrupt. 13. Respect is not demanded, its commanded. 14. There exists no such thing as "try"; because its either you do it or you do not do it. While I was stuck thinking, a thought that flashed in and I was somewhat compelled to write down so that I may decide what exactly is it that I want? Following are few questions that you might ask yourself as well, and see what you want? 1. Living low(financially), but a satisfied life? 2. Drawing high amount (financial), living in posh locality, having membership of vvips clubs, etc? 3. Living a love life/marriage? 4. Praying 5 times a day? 5. Helping people in any way in all walks of life? Success, I believe is what we call satisfaction. So what gives you satisfaction? We all know that The Washington Post is the largest and most circulated newspaper in Washington, D.C. and is the city's oldest newspaper, founded in 1877. It is widely considered to be one of the most important newspapers in the United States due to its particular emphasis on national politics, and international affairs, and being a newspaper of record. Following is a snapshot, that I was reading couple of minutes ago from WashintonPost website. ... A captured terrorist has reportedly confessed to Indian officials that he received training in Pakistan from Lashkar-i-Taiba, a guerrilla organization that was nurtured by Pakistani military intelligence to fight India in the disputed Kashmir region. It has previously been linked to murderous attacks within India; Lashkar-i-Taiba was behind an assault on the Indian Parliament in 2001 that killed more than a dozen people and almost triggered all-out war on the subcontinent." It is sad to see that truth drivers are now fabricating statements without authentic records/facts. It seems that TWP is propagating news with abysmal/false reasoning, that smells more like personal thoughts. It would be good if TWP provides links to references/clues in future. For instance, that Lashkar did the 2001 assault on the Indian Parliament (Ref: WashingtonPost.Com/Lashkar_Evidence). Mumbai terror related news should not contain false propagation unless the clues are known to general public or TWP has genuine information to share with the reader. Unless having references, It would be better if WP write "Lashkar-i-Taiba was accused" rather than "Lashkar did this/that". Certainly WP has provided references to the personalities discussed in the subject, but it did not provide the reference to the context. It would be good if TWP that rather than assuming/presuming the context, as a better practice provide references for the reader to understand and judge the situation, and so that the reporter shall not be able to 'Manufacture' the news. Since India did not provide the evidence that Lashkar did the 2001 assault on the Indian Parliament. So is the case of Mumbai terror. No evidence known to-date. Somehow I lost my show desktop button from launch, and couldn’t get it back even after google’ing for it for hours. Well, following is what I did to get it back. Create a file with .SCF extension using notepad.exe, and provide following details in it. Save the file as "Show Desktop.SCF" and then drag and drop the file icon to quick launch bar. Btw, the shortcut for jumping to desktop or clearing the screen is WinKey + D.
Rizk? we call it Rizzak in our language. you may call it... the food! They say it is the Rizk that takes you... whever you go... or where ever you plan to go. I say, its up to us... where ever we plan to go, we go there.. you get your rizk there. "Success is a choice - and so is failure" - Farhad Karamally. I believe Whever you go the rizk will follow. And not that... where ever will be the rizk.. we will somehow, in trance, follow the path towards food automatically. Just think abt it, if the rizk were to make us follow, then what choices are we left with?? Such a fable-myth, i would call it, prevails in our society! My argument is always like: what about the other people on earth? wat about americans, germans, russians, indians, koreans, etc? Dont they get to eat things? They go watever they decide for, they do watever they plan to, and etc., but none say anything about rizk making them follow. well, I dont believe the Rizk is there to make us follow it. I mean people say, that, unconciously.. indirectly you get the feelings of the things that you somehow endup in planning... the way towards the rizk? now this, I think is crap!!! We thinking, we plan, and we execute is all I believe. Bad plan bad results, good plans good results. Its up to us, "we", to think use brains and consultation and discussions to come to a conclusion and then decide, and the output will directly depend on the thoughtfulness of our decision; well... and it could be, sometimes, unexpected? the result! I believe when we actually endup with nothing good (bad plan), we call it fate. We accuse our kismets! We do believe, that there is a promise about the Rizk. Everyone will get it no matter what or where ever! But I donot believe, I mean I do not find single good reason that can help me accept the false myth. We need to make an effort to get the promised food. All i want to say.... is that I disagree. The easiest way to get started writing gadgets is to use the Google Gadgets Editor (GGE). GGE lets you edit gadget specs and click Preview to see the live results of your changes, without even leaving the Developer Guide. You can also use GGE to save, host, and publish gadgets. Came across a nice urdu typing pad. A nice reference provided by a colleague, Ali Shah, that help formatting the code in various formats including C#. Came across very nice articles regarding types of DB Joins using venn diagrams; Very useful for myself, and for those who like to learn from visuals. living in isb isint a bad experience. at times i feel im falling in love with isb. specially the sensual attraction of the chilly weather, the islamabad rains, the cool morning breeze after rainfalls; and the most beautiful. the most arousing, the most romantic moments of my life... the islamabad... after rains. the dark brown thick stems under the bright-shocking-green shades... can only make you fall..... fall in love... with isb. isb is a somber, dark place! dull, depressing... sad and yet sadistic, glum, and mournful. oppressively solemn, filled with an empty echoing solitude. its a place with peace; peace that can turn you into pieces. isb is romantic, finest... to share love. 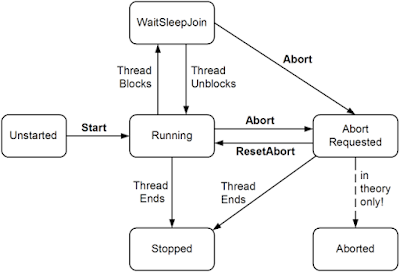 While interacting with middleware, or other similar software, there comes a need of a highly customizable simulator that should work handy, for the developers as well as testers. 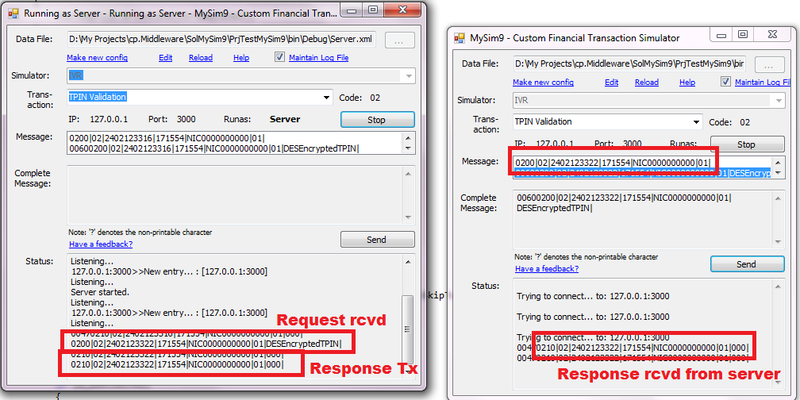 Based upon ISO8583’s financial transaction messages. Shall provide a user interface to configure the format. Generates sample simulator file, contains specific simulations. 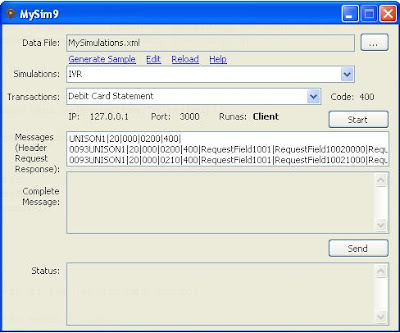 Transactions list box provides the list of transactions in the selected simulator. In case of client, it starts trying to connect to server; In case of server, it starts the listening process. Sends the text to the selected displayed on the complete message text box. In case of client, it sends the message to server. MySim9.exe must be having the Avanza.Networker.Dll in the same directory. Click on start button to run the process. True means it’s a server. Length of message that is padded on the top of message. For instance 4 bytes ascii or 2 bytes binary. If true, means concat message without separator. The name of transaction code field in the header attribute, must be “Transaction Code”, otherwise system will not be able to work properly. No schema validation upon selecting the xml file. Workaround: Use specified format, for now. Can’t handle linear talking sessions, for instance, IVR requests to Middleware requests to Core banking requests to HOST and then HOST responds to core banking responds to middleware responds to IVR. Workaround: Future development, volunteer help. Button text doesn’t change when in client mode, when the client is forcefully stopped. Support all origins, Aquirer, Aquirer Repeat, Issuer, Issuer Repeat, Other, Other Repeat. Support all functions, Request, Response, Advice, Advice Response, Notification., Response Acknowledgement, Negative Acknowledgement. And support all classes/types of messages, Authorization, Reserved by ISO, Fee Collection, Administrative, File Actions, Financial, Reversal, Reconciliation, Network Management. Report bugs/ideas, if you have. 1. Install the MS Word. 2. Try adding required privileges to the application trying to access the COM object.